Thailand has always been a favourite destination of mine. It is cheap, easy, full of great food and fun! Many people speak at least some English, and it is cheap enough that we were even able to take private transfers between nearby cities. 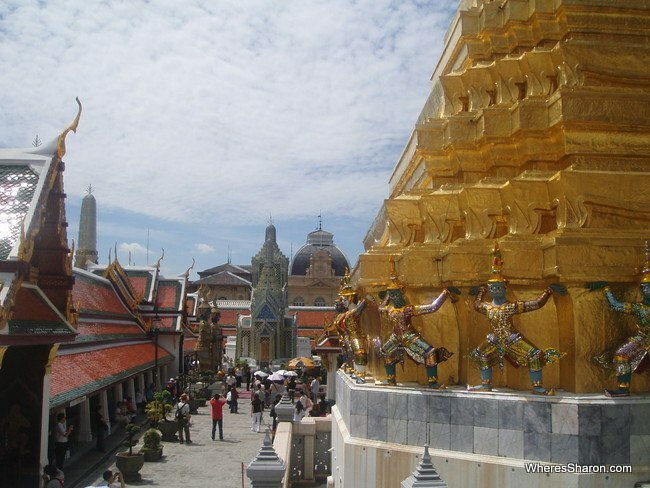 It is also a great family travel destination – we love travelling to Thailand with kids. 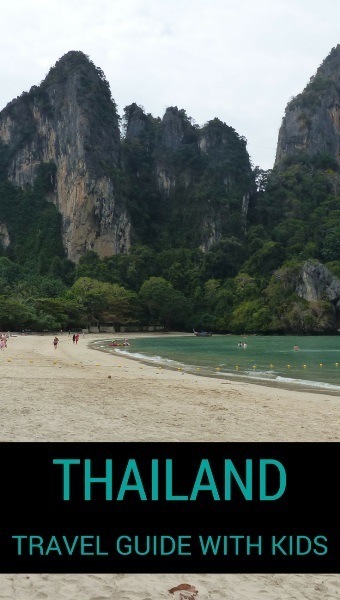 Here in our travel blog for Thailand, you can find all our city guides and everything we have learned about travelling around Thailand. We have travelled here many times and love to travel around Thailand. From the delicious food to bustling Bangkok to the beautiful beaches to the cultural inland areas, we love it all. Every trip around Thailand has been memorable and lots of fun! 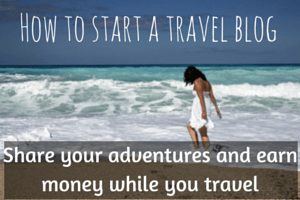 We travelled to many parts of Thailand before having kids, but since having children we have travelled (and included in our travel in Thailand blog) to Bangkok, Pattaya, Ayutthaya, Krabi and Phuket. A particular favourite of ours is Bangkok – we love this city! The energy, the vibrancy, the attractions, the Thai people and the shopping. It is all good. You can read about travelling to Northern Thailand here. 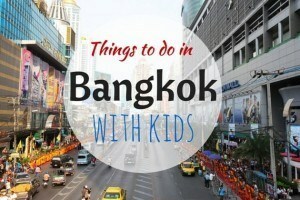 If you are wondering where to go in Thailand with kids, we found Bangkok, Pattaya, Ao Nang and Phuket to all be great destinations for Thailand holidays with kids. There are many theme parks and animal attractions (although beware if you struggle with animal cruelty issues). Many hotels have pools. We did struggle at times in Bangkok with kids as it can be very slow going to get anywhere in the crazy traffic. It is very important in Bangkok to stay somewhere well located to food, as we did get frustrated by some of the commute times to go somewhere we wanted to eat (and the kids were even more frustrated). The skytrain can save some of the traffic drama, but there are lots of stairs which makes it very hard unless your child is old enough to handle this. 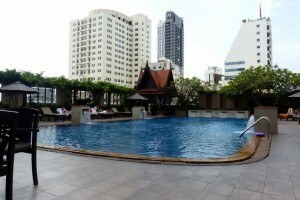 The people are just superb and very kid friendly which helps make a Thailand holiday with kids very easy. However, if your kids are young be prepared for people to keep touching them. Our baby loved this, our toddler not so much. They had their photos taken soooo many times (people always asked first). It is lovely hearing so often how beautiful and wonderful our kids are. It is also just great how quickly people stand up on trains for us and just help out without us having to ask. It’s part of why we love Thailand for kids so much. Taking kids to Thailand is very easy. As a major tourist destination there are flights here from many places. We also found Thailand travel with kids to be very straight forward – especially as private transfers between cities are not that expensive so for more difficult journeys, we just paid for these. We found the buses we took to be quite comfortable. 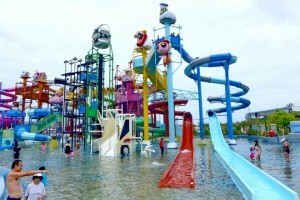 There are many great Thailand activities for kids. 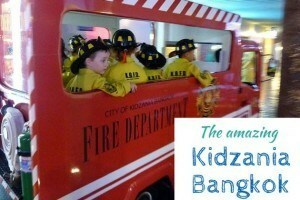 We actually experienced our favourite kid attraction yet in Bangkok at Kidzania. There are also many other kid focused attractions such as theme parks, play centres and zoos. Plus the beautiful beaches and pools are sure to be a hit. We had no problems buying nappies here – as long as we were happy with the 12+kg size which was not big enough for our very big 2 year old. We used pampers in this size (12+kg) for Z and they fit perfectly (he was about 12kg). Wipes and nappies are not much different in price to Australia. We didn’t seen any baby food that wasn’t just vegetable or fruit purees. The formula all looks quite different to at home. The Sukosol Bangkok – a beautiful 5 star hotel in a great location in Bangkok with family rooms and a Mini VIP program for the children – Check latest prices – Read full review. Centrepoint Ploenchit, Bangkok – a great choice for families with apartments available as well as a swimming pool, children’s play room, etc very close to a BTS station – Check latest prices. 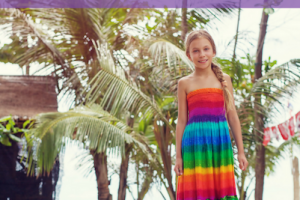 Sunwing Kamala, Phuket – one of the most family friendly places we have ever stayed. Fabulous facilities in the best location in Kamala and the most amazing “baby” rooms we have see – Check latest prices –Read full review. 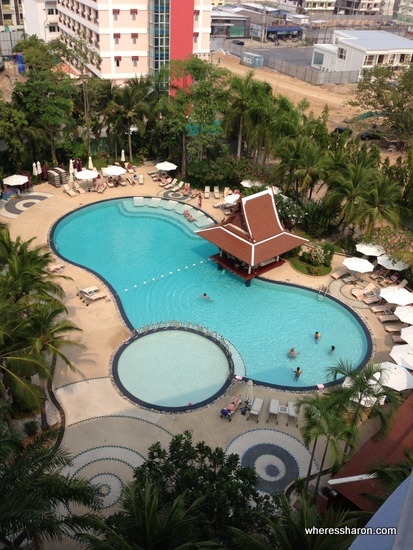 Baan Lamai Patong, Phuket – a big hotel in a great location in Patong with one of the biggest pools I’ve ever seen – Check latest prices. 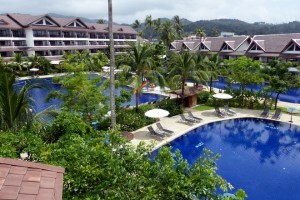 Novotel Karon, Phuket – set in a great spot in popular Karon Beach, this resort is great for everyone. We particularly loved the private plunge pool suites. Click here for the latest prices. Kata Palm Resort, Phuket – a great location near beautiful Kata beach with many family friendly facilities including massive pools – Check latest prices. 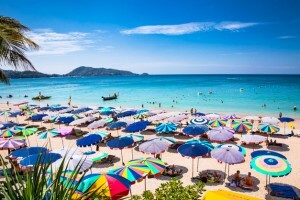 Centara Grand West Sands Resort, Phuket – close to the airport this massive resort is home to Splash Jungle Waterpark which is lots of fun for families – Check latest prices. 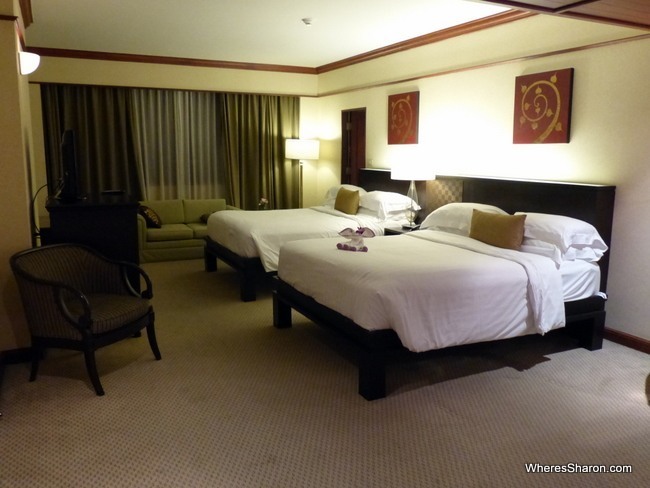 Mecure Pattaya – probably our pick for best hotel in Thailand just because it has very cool family rooms! We love the kids bunk bed with slide and other family friendly facilities here – Check latest prices. Railay Bay Resort and Spa – you can not beat this location right on the spectacular Railay beach near Krabi – Check latest prices. 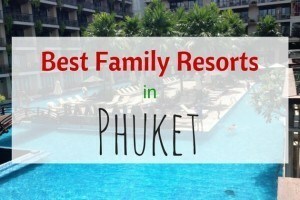 You can also read our article about the best family resorts in Phuket and the best family hotels in Bangkok, as well as where to stay in Phuket to ensure you pick the best beach area for you. If you are looking for itinerary ideas, see this 2 week itinerary. You can read more about our overall thoughts of Thailand family travel on our Thailand wrap up page and our SE Asia Travel with Kids adventure.